Bacon Theatre Cheltenham – "In The Cooler"
If you were able to attend the concert, you would have been in for a treat!! 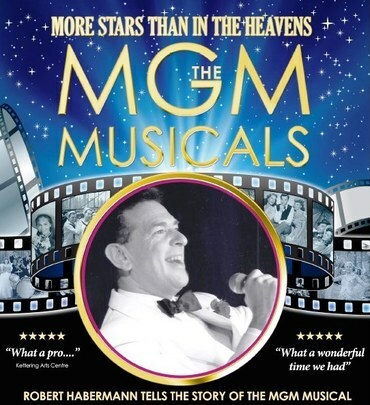 Award winning singer Robert Habermann sings the greatest songs and tells the story of the magical MGM musicals – from their humble beginnings in 1929 to their 50 year celebration in the film That’s Entertainment. Having worked on the last MGM musical, Robert tells fabulous stories of stars, Judy Garland, Gene Kelly, Fred Astaire, Frank Sinatra and many more who performed in iconic films like An American In Paris, High Society and The Bandwagon. The many songs include Singin’ In the Rain, Gigi, Easter Parade, Trolley Song, True Love, Show Business and That’s Entertainment. NCCR was privileged to enjoy a lengthy conversation with Robert in mid-summer..
Valerie Holiday ,Helen Scott and Freddie Pool(above) kindly spoke with NCCR “In The Cooler” before their show at the Bacon Theatre,Cheltenham on 23rd September 2018. All that can be said is: Thank you ladies. When will I see you again?